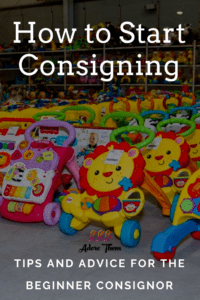 I fell in love with consignment sales years ago as a new mom on a tight budget, and what’s not to love? You can purchase things at a significant discount. It is fun & can feel like treasure hunting. Books, toys, gear, & clothing is getting reused instead of being discarded needlessly. And a good portion of the money spent is going back into the pockets of local families.